We have previously reviewed a Quorn pie here on Pierate, and have also reviewed countless pork pies (including eating nothing but pork pies for a whole day) - but we have never reviewed a Quorn pork pie. Of course, "Quorn pork pie" is an oxymoron, since Quorn is vegetarian. 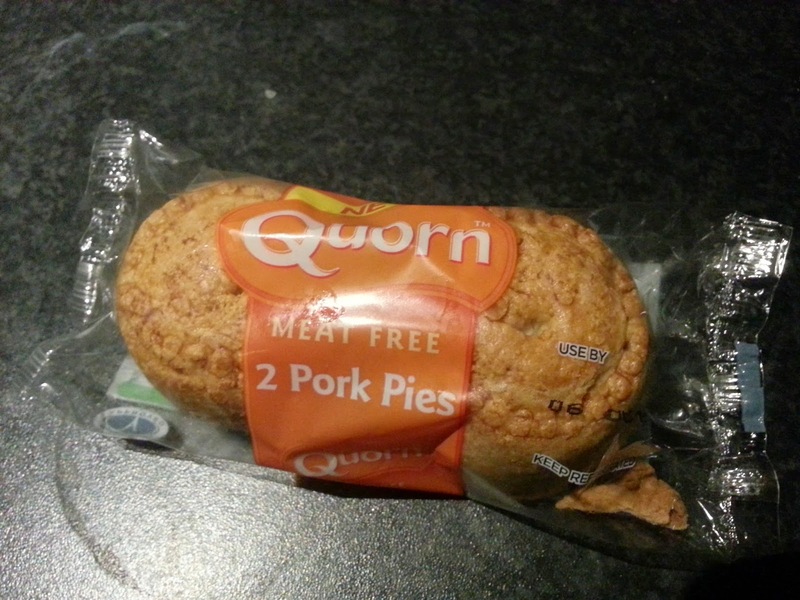 Indeed, these pork pies make clear their "meat free" nature on the packet - but I still don't understand why Quorn feel the need to call these pork pies, because they're not pork pies! If you want to eat a pork pie, eat a pork pie. If you don't want to eat a pork pie, don't eat a pork pie! It may just be me, but I can't understand the need to have an imitation pork pie. Anyway, back to the review. At £1.79 for two, these mycoprotein pies are rather expensive. 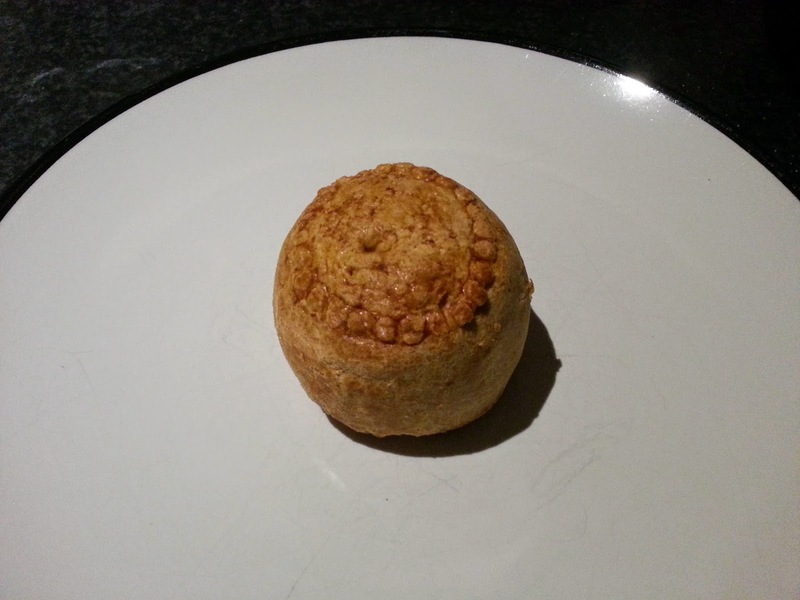 You can see that the pie is rather small - similar in size to a mini pork pie that one could usually buy cheaper. 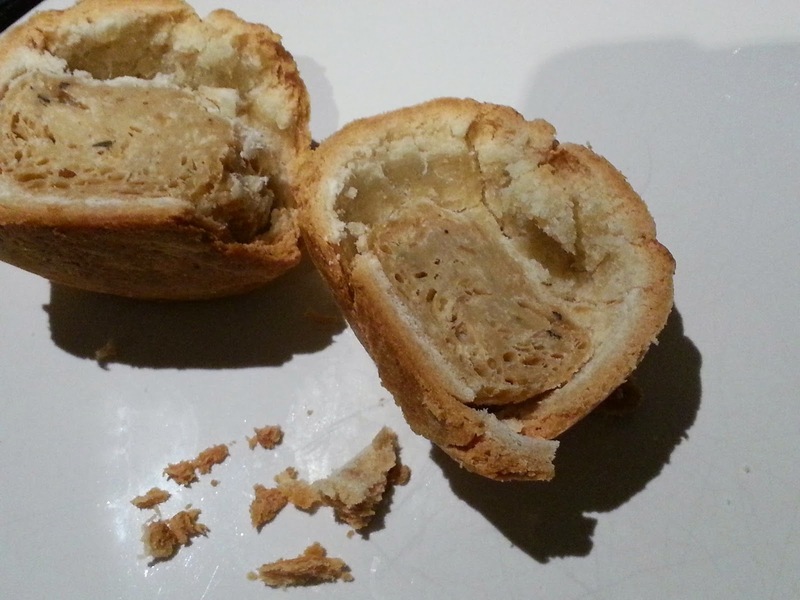 The pie does at least look similar to a pork pie, with water crust pastry and the crimping round the top. 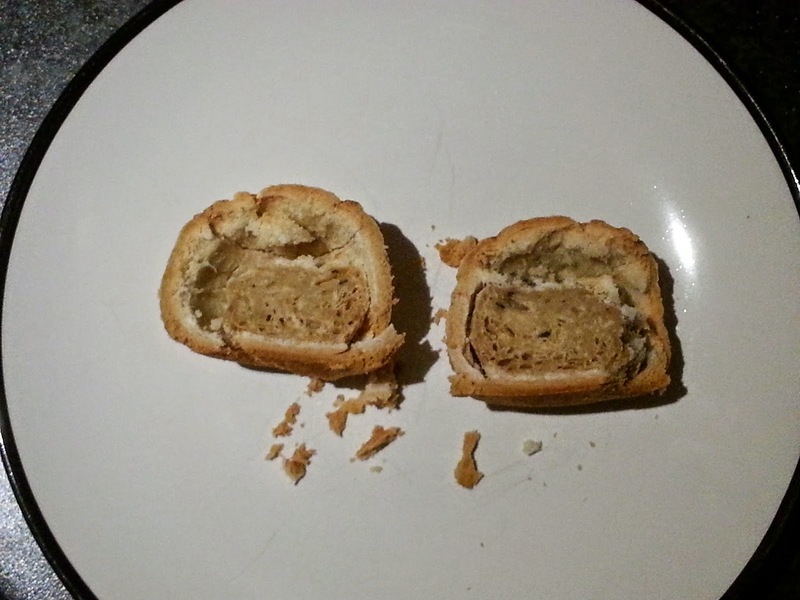 On slicing open the pie, however, I note some terrible crimes against pork pies around the world. Having been a judge in the pork pie category at this year's British Pie Awards, I feel somewhat qualified to make some observations about the contents of this 'pork pie'. First of all, there's a complete lack of jelly. There wasn't even an attempt at vegetarian jelly. The pie was just completely devoid of this essential pork pie ingredient. This made the filling and pastry dry. Secondly, there was a lot of air in this pie. The filling didn't even reach all the way to the sides of pie, let alone to the lid. Just look at this close up cross-sectional view of the filling, and note how deplorably underfilled this pie is. In my opinion, the filling also tasted nothing like a pork pie. It wasn't unpleasant, but then it wasn't very tasty either. The pastry was okay, but a bit bland and overly crisp, almost like stale bread (it seemed to lack the fatty-ness of a traditional pork pie pastry). All in all, I felt this pie lacked the richness and deliciousness that a pork pie embodies. This was an underfilled, bland, stale-bready affair rather than a rich, succulent, herby pork pie. It lacked pretty much everything I like in a pork pie, and personally I can't recommend these pies.